Last month, PaulTan.org reported sighting a Tesla Model S at the old LCCT and guessed that a grey importer was responsible for the vehicle. A grey import vehicle is a vehicle obtained through legal means from another country via channels other than the authorized manufacturer’s representative. That’s not a bad guess, considering there are no Tesla representatives in Malaysia (or even Singapore). Well, the real reason behind the presence of this thing of beauty has been unvealed by Berita Harian. 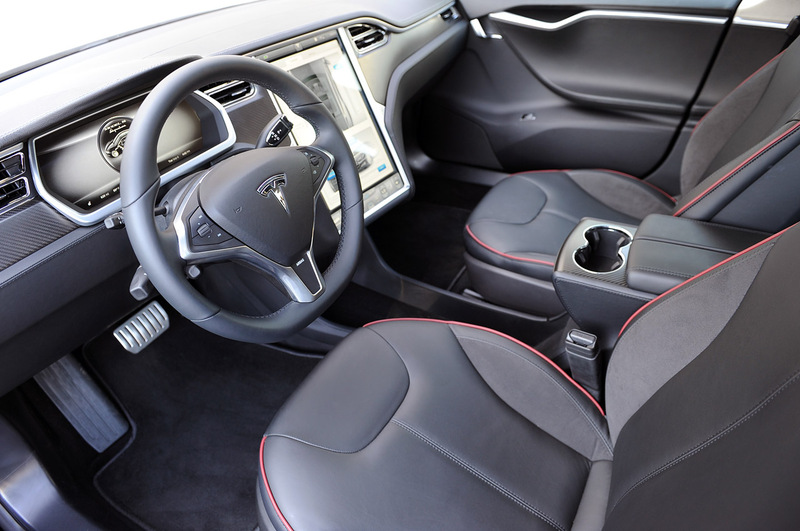 The Malay Mail conveyed Tesla Motors’ intent at bringing Electric Vehicles (EV) to Malaysia. Along with Tesla Motors Inc, several other manufacturers (BMW, BYD & Volkswagen) are also keen to bring EVs to Malaysia provided there will be tax incentives and ready infrastructures in the country. 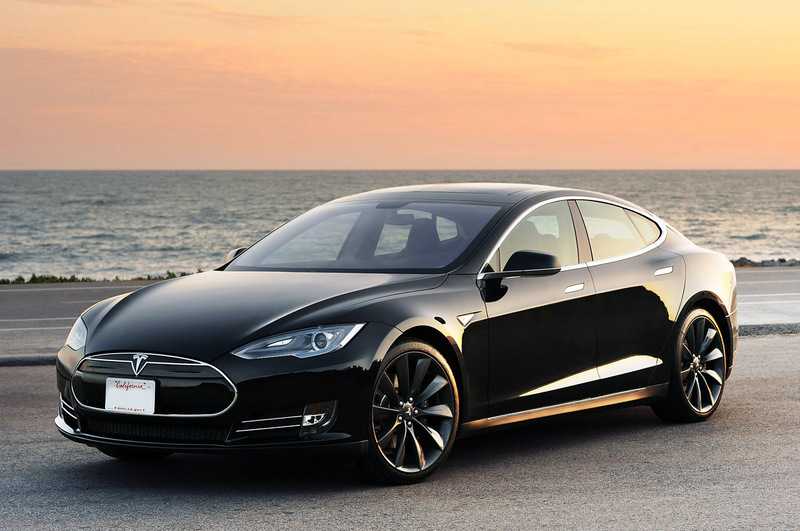 The Tesla Model S is priced roughly US$69,900 in the United States, which is roughly RM245,000 in Malaysia. Chief Executive Officer of Green Technology Corporation (GreenTech Malaysia), Ahamad Hadri Haris told the Malay Mail that the manufacturers are interested in bringing in the models to gauge the vehicle’s potential. Having the car priced too heavily due to import and duty will deter citizens from purchasing the vehicles, thus the government’s initiative to exempt Electric Vehicles from these taxes. A separate report by the Malay Mail states that there have been a hundred fold increase in the hybrid cars sales after introducing the tax exemptions, from 300 units in 2010 to 30,000 units today. Tesla Model S is a sports car that is able to go from 0 to 100km/hour in 4.4 seconds. This impressive speed is not what most people have in mind when the term ‘electric cars’ are mentioned. Most people will think of turtle-like vehicles getting honked left and right as they crawl through traffic, only to splutter half an hour later due to the batteries running out. This brings us to the next issue: Charging Stations. Harian Metro reported that GreenTech Malaysia will be building up to 300 charging stations with a RM3 million grant from the government. It comes at a surprise to me, personally, to hear that there are already 40 such stations in Malaysia. I was fully expecting the number to sit comfortably at 0 charging stations. 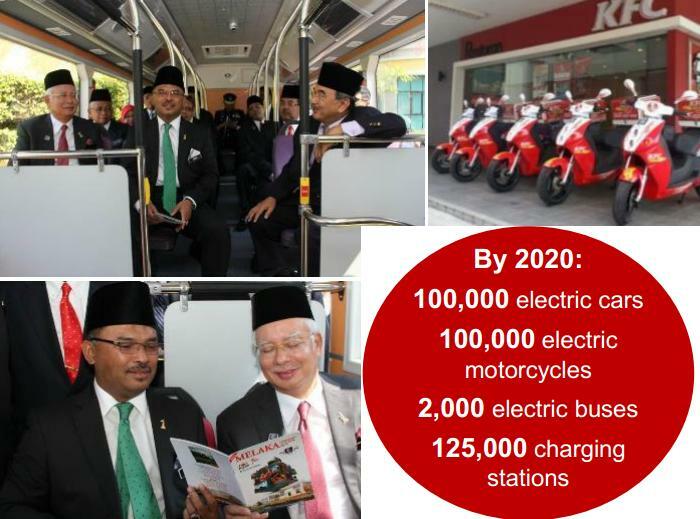 GreenTech Malaysia has set a target of building 125,000 charging stations by 2020. The math is amazing, with 300 stations planned between 2015 and 2016 and 124,700 stations projected to be built in the subsequent four years. I, for one, will be looking forward to this amazing feat of productivity. GreenTech Malaysia has big dreams for 2020. Not only is it aiming for 125,000 charging stations, it’s also aspiring for 100,000 electric cars, 100,000 electric motorcycles, and 2,000 electric buses. It hopes to achieve this via a three step process: Promote electric public transportation & encourage EV private ownerships, strengthen electric mobility eco-system and charging infrastructure and lastly accelerate electric mobility technology localization opportunities. It seems like an impossible dream, but they’ve already gotten started. The first Malaysian Electric bus has already been introduced, with 55 more units from Prasana, Panorama Melaka, ordered this year. This may come to a surprise to you, but KFC delivery services utilize locally manufactured electric scooters. Currently 150 units are used by the fast food franchise, with more to come. 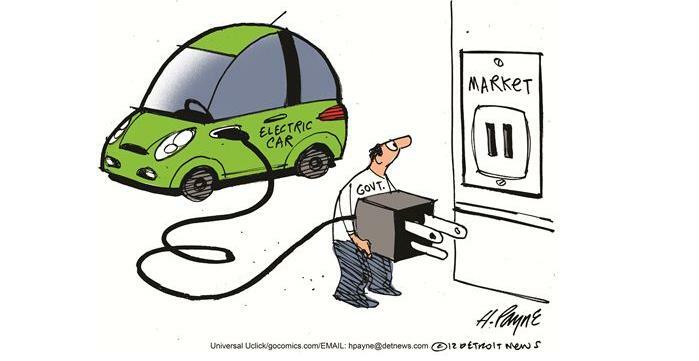 And with the electric cars being tax exempted, people are bound to get them. We’re getting there, fellow Malaysians. 2020 is looking better than ever.